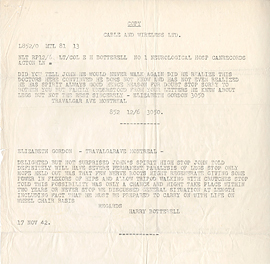 Telegram correspondence between E.H. Botterell and Elizabeth Gordon, November 17, 1942. 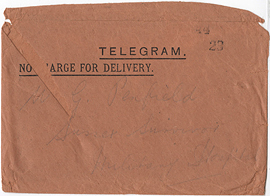 Telegram envelope with Dover stamp and faint handwriting, March 26, 1916. 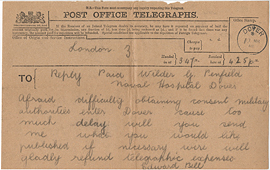 Telegram forwarded by the American Embassy (London) to Wilder Penfield, March 26, 1916. 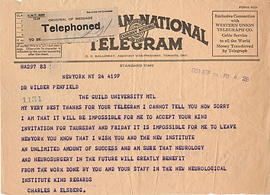 Telegram from Alan Gregg to Wilder Penfield, November 13, 1931. 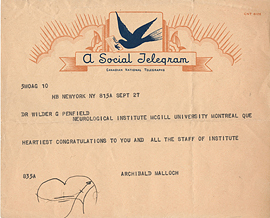 Telegram from Archibald Malloch to Wilder Penfield, September 27, 1934. 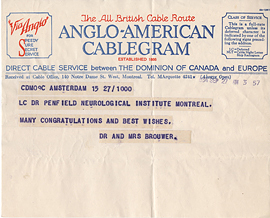 Telegram from Bernardus Brouwer to Wilder Penfield, September 27, 1934. 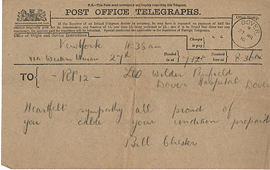 Telegram from Bill Chester to Wilder Penfield and Response, March 27, 1916. 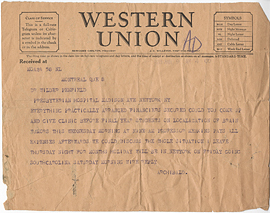 Telegram from Charles A. Elsberg to Wilder Penfield, September 24, 1934. 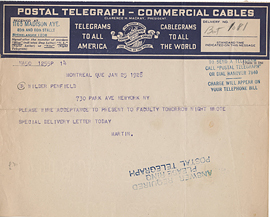 Telegram from Charles Martin to Wilder Penfield, January 25, 1928. 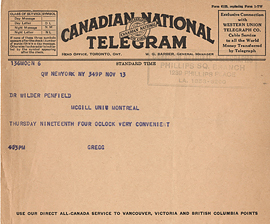 Telegram from Edward Archibald to Wilder Penfield, January 9, 1928. 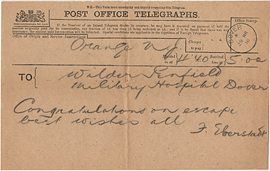 Telegram from Edward Bell to Wilder Penfield, March 27, 1916. 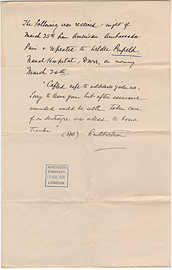 Telegram from F. Eberstadt to Wilder Penfield, March 29, 1916. 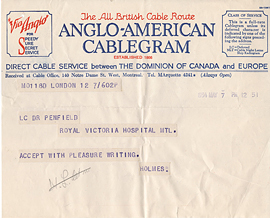 Telegram from Gordon Holmes to Wilder Penfield, May 7, 1934. 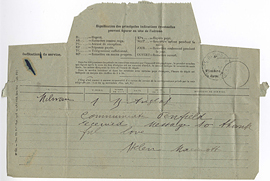 Telegram from Helen Kermott Penfield to Wilder Penfield, March 27,1916. 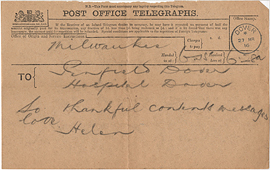 Telegram from Helen Kermott Penfield to Wilder Penfield.